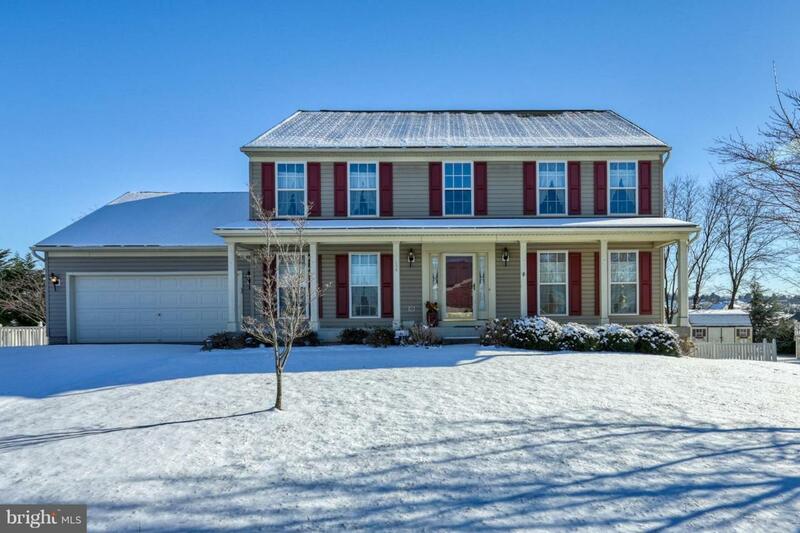 Beautiful 2 story colonial in sought after South Pointe Development. Cozy front porch. 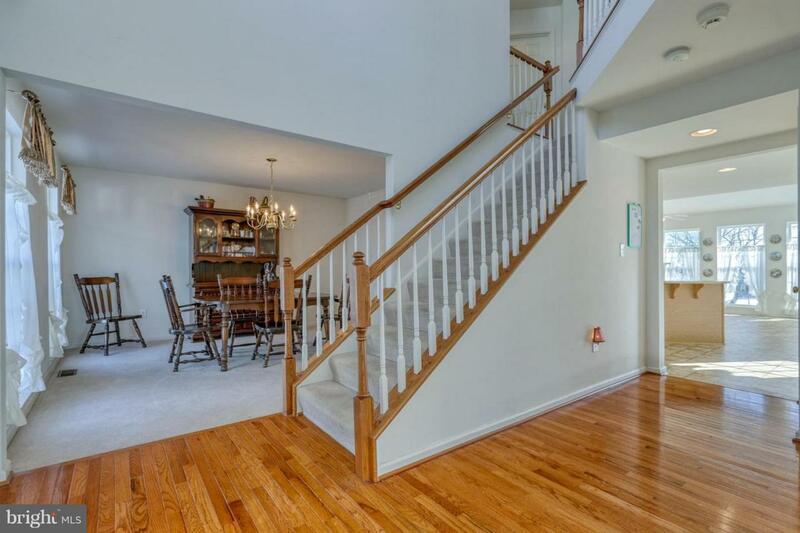 Hardwood floors, formal dining room. Formal living room with bay window. Bright open Morning room. Kitchen island. 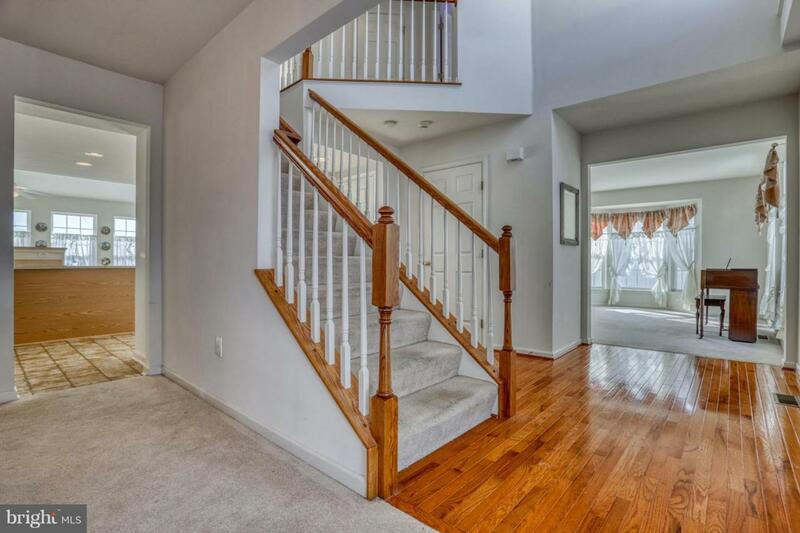 2 story Foyer. 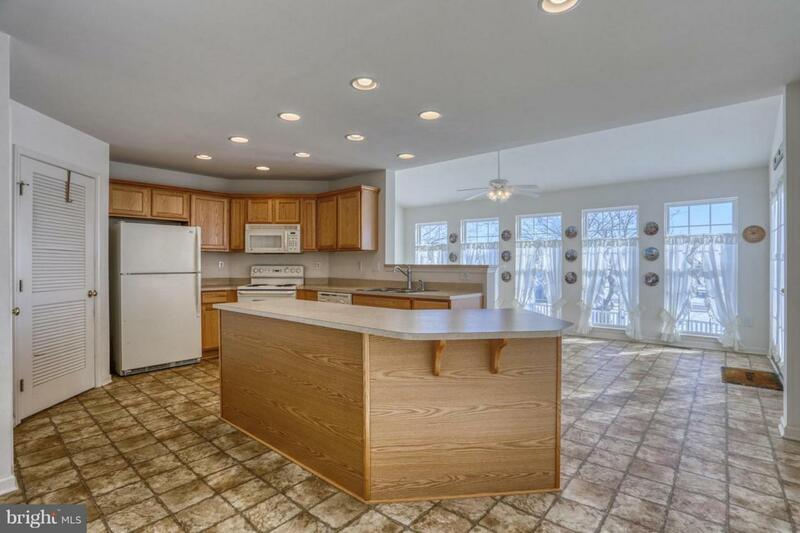 Kitchen with huge island. Open floorplan. Gas fireplace. Mastersuite featuring walk-in closets, Full Masterbath with soaking tub. Cathedral ceilings. Fully finished basement with full bath. 2 car garage. Deck. Fenced yard. Development with walking trails. Excellent location near the MD line.